Creating YouTube videos is hard work so why not show off every achievement? 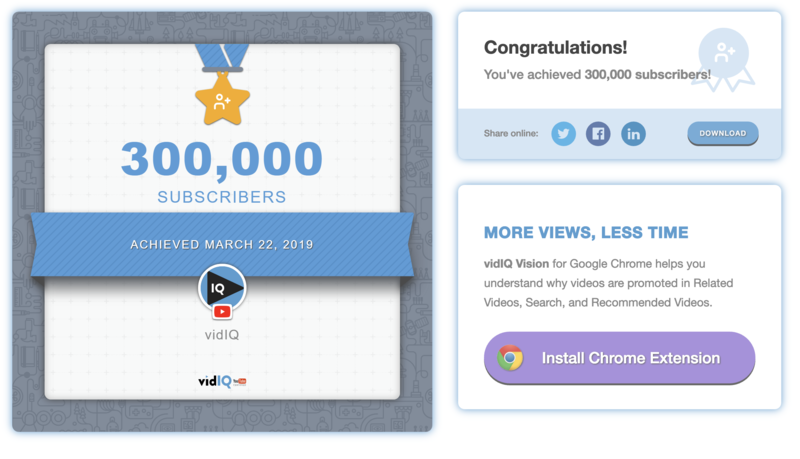 The vidIQ Achievements tool allows you to easily share your wins on YouTube on social media and show the world how awesome you are! For free! You can download or share achievements based on subscribers, views, uploads, likes, hours watched and comments. 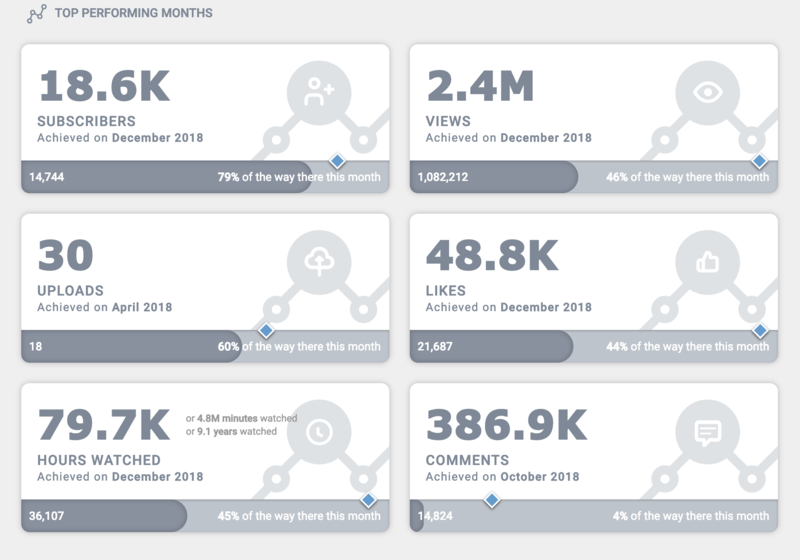 You can also share or download your achievements based on the best months for subscribers, views, uploads, likes, hours watched and comments. This is an awesome way to show how you are creating engaging content that’s leading to fantastic YouTube views, engagements, and subscriber growth. With the ‘Achievements’ tool, you can also see your top performing video of all time. To share or download any achievement, just click on ‘Achievements’ in the left hand navigation bar of most YouTube pages (as long as you have installed the free vidIQ extension). Just click on the achievement you want to share with your followers and sit back and wait for the applause.